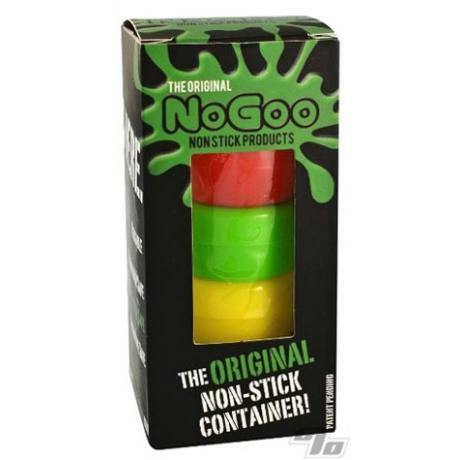 NoGoo non-stick Concentainers (concentrate containers) are made out of food-grade silicone so even the stickiest concentrates will easily slide out. You won't lose any to the corners or sides of the container. NoGoo Non-Stick Containers are safe for the freezer, microwave and dishwasher, and come in a box of five containers in vibrant, assorted colors. 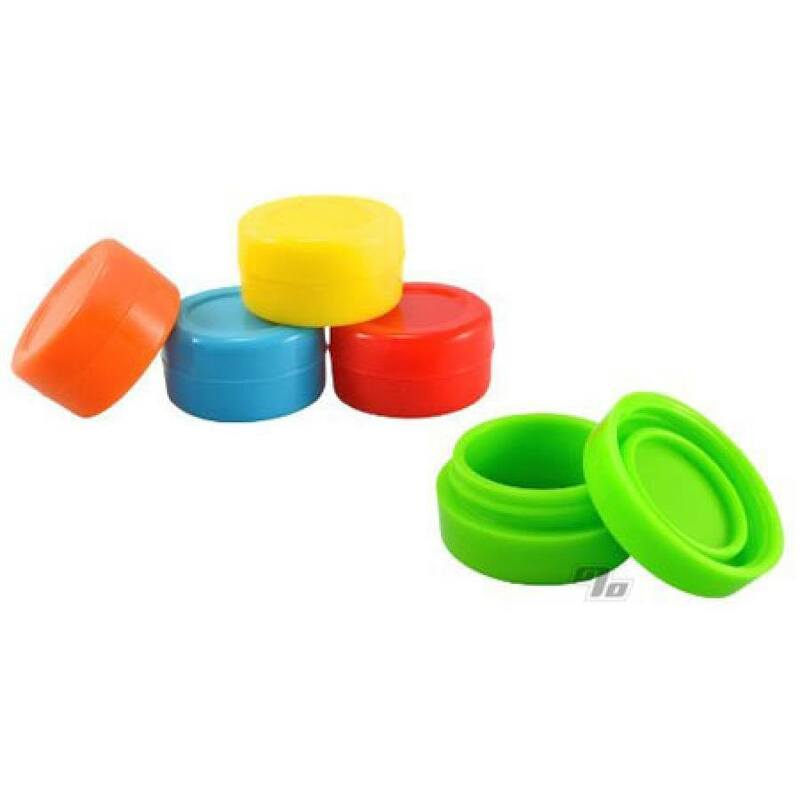 One container measures 1.5 inches across and is 3/4 inch tall. Heat resistant up to 450 degrees F.
These are so awesome and make life so much easier!! Great price and these things last forever and are so portable! These are nice, Small containers that perform as advertised. A little pricey up front, but they seem to be sturdy and should give long service!